It has been four days since we returned from London and somehow it seems to have taken place a few months ago. 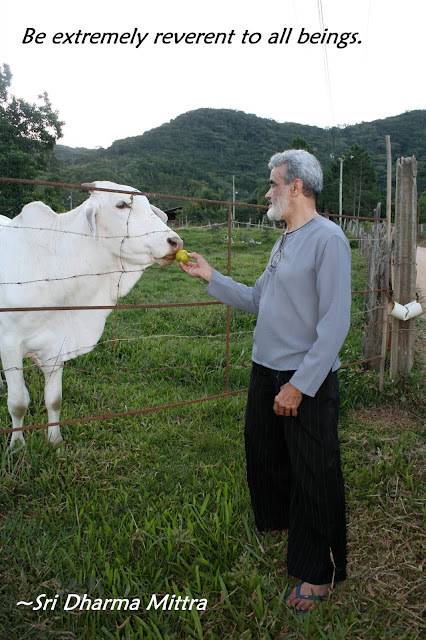 Sri Dharma said to me at the start of our trip that in a moment it would be over. On our way back to the airport, he said: “You see? Already finished – like a dream.” It was, for all of us that went, a very pleasant dream. Sri Dharma travels less these days than a few years ago, but he still travels quite a bit and his teaching takes him around the world. For the last couple of years, he has been saying that he really wanted to take the Dharma Yoga Kirtan Band along with him. As the London workshops seemed like they were going to be large and some of the band members had the dates available, we were able to make it happen. Although my position at the Center means that I get to work closely with Sri Dharma, it has been a while since I’ve been able to travel with him. It was, for me, a very special opportunity. The venue was part of the Lords Cricket Ground in North London. It easily accommodated the 250 plus people that were part of each session. The presenters, Indaba Yoga, did a great job managing every aspect of the weekend. Most of the classes were two hours long. 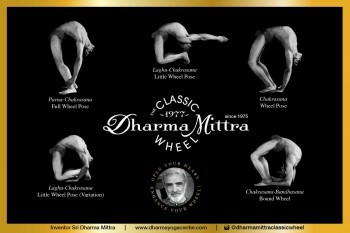 Somehow, Sri Dharma managed to include a full practice of Asana as part of each one, a brief, but focused spiritual discourse, an introduction to basic Pranayama techniques, recitation of mantra, Kirtan with the band and a full experience of Yoga Nidra. The classes never felt rushed, yet he managed to include so much. Spiritual discourse treated such topics as compassion, the Kleshas and the Koshas. What particularly impressed me was how Sri Dharma gave us a full experience of Yoga Nidra, sometimes in as little as twelve minutes, but that included complete relaxation of the body, visualization and autosuggestions. Truly extraordinary. The enthusiasm of the students was wonderful to observe. Special thanks to Kenny Steele, owner of Idaba Yoga, Olga Asmini, Indaba Yoga’s exceptional manager, her wonderful team, Mark Kan, our main Dharma Yoga teacher in London who really established Dharma Yoga there, Andrew Jones who did much work behind the scenes in advance of these workshops, Pam Leung and Yoshio Hama for beautiful demoing throughout the weekend, to Andrew and Yoshio for playing until their fingers bled, for the dedicated students who came from all over Europe and America to be part of this weekend and to Sri Dharma Mittra who somehow seemed fresher, funnier and more energized by Sunday night than he had at the start and who at almost 77 years of age continues to devote his life to sharing what he knows with all of us that are fortunate enough to learn from him. Adam Frei is the director of the Life of a Yogi Teacher Training programs at the Dharma Yoga Center in NYC. The book Yoga and Long Life by Yogi Gupta is an absolute gem. It is one of my favorite yoga books. It is amazing how simple and yet in-depth it is at the same time. I am not sure I know any other yoga ‘manual’ that covers so much in such little space. Yogi Gupta was obviously an intelligent man, and well learned. He starts out with such a clear message right on the cover page, with the symbol of Om and jnana mudra – symbolically representing the purpose, path, and result of yoga all in one. 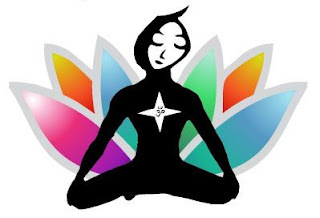 The following topics are covered in the text: the definition of Yoga, Yoga and Christianity, philosophy of Yoga, types of Yoga, principles of relativity and duality, effects of Yoga, Yoga and Ayurveda, Yoga and Longevity, Yoga postures (asanas), breathing techniques, meditation, importance of Yoga, the necessity for a teacher, food and health, color and health, relaxation, and practice courses. Throughout the book, one can see that Yogi Gupta was familiar with all the main yogic texts. He refers to the following texts and authors: Patanjali’s Yoga Sutras, Goraksha Samhita, Hatha Yoga Pradipika, Rig Veda, Bhagavad Gita, Swami Vivekananda, Aldous Huxley, Gerald Heard, Christopher Isherwood, and Dr. Henry R. Zimmer to name just some. What is a Yogic text, without a definition of Yoga? He defines Yoga as “a science of living.” What a beautiful definition. It is all-encompassing. He also states: “Yoga is a system of philosophic meditation and asceticism designed to affect the reunion of the soul with the universal spirit.” He makes it clear that it is not just for the body or mind, but for the spirit. There are a variety of places in the book where he refers to such things as the importance of a guru, the yamas and niyamas, the eight limbs, maya, karma (or, with every action there is an equal and opposite reaction), but ultimately he says, “in the highest forms of yoga (like Raja-yoga), he [the yogi] transcends it [maya] in Samadhi when he becomes part of the Primal Force.” All yogis (and non-yogis alike) should read such a book so that it becomes clear how inter-related the entire body is. He portrays this message through his discussion on the glands, Ayurveda, and the Chakras. Today, we think of such things as color therapy and raw foods as “new age”. But, Yogi Gupta lived on raw foods for more than twenty years and says, “I feel much better for it.” It is amazing how much he knew about the increased nutrient value of food, long before there was much publicized on that. I can see why green juices are so valuable! The color green “influences the heart, blood pressure and the emotions, and vitalizes the nerves. It also imparts wisdom, peace, harmony, sympathy and generosity.” He connected the concepts of our raw food with the color of the food, and their vibrational qualities. 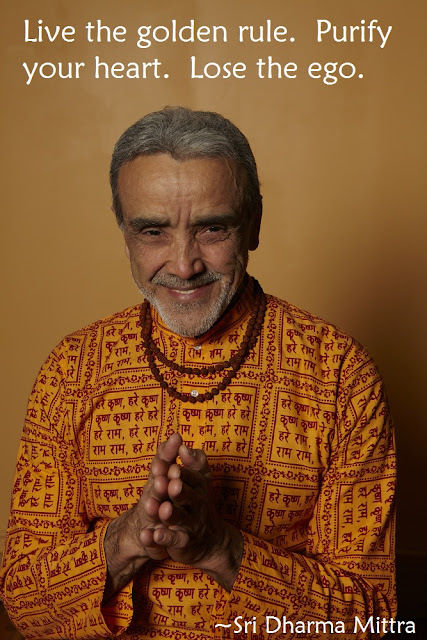 I am grateful for Yogi Gupta’s work in the Americas, with Sri Dharma Mittra, and now, God willing, through me. 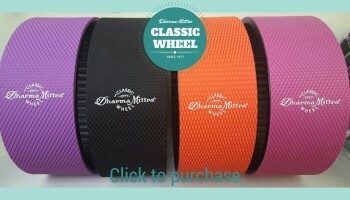 Yoga and Long Life can be purchased at the Dharma Yoga NY Center boutique or through the online store. As a young woman, Katherine was a high school mathematics teacher about to embark on a Masters of Mathematics program. However, at the age of 28, Katherine recovered from a life-threatening and debilitating illness through Yoga and Colon Therapy. Ever since, she has been on a mission to share the profundity of both modalities, and to motivate others to delve deeper – both physically and mentally/ emotionally. Healing is found in the not so obvious ‘nooks and crannies’ of the body and the mind. She teaches private yoga, is a colon therapist, nutritionist, and instructor of colon therapy. She is eternally grateful for finding Sri Dharma Mittra and his complete Raja Yoga methods of healing, and hopes to spend the rest of her life sharing this with others. 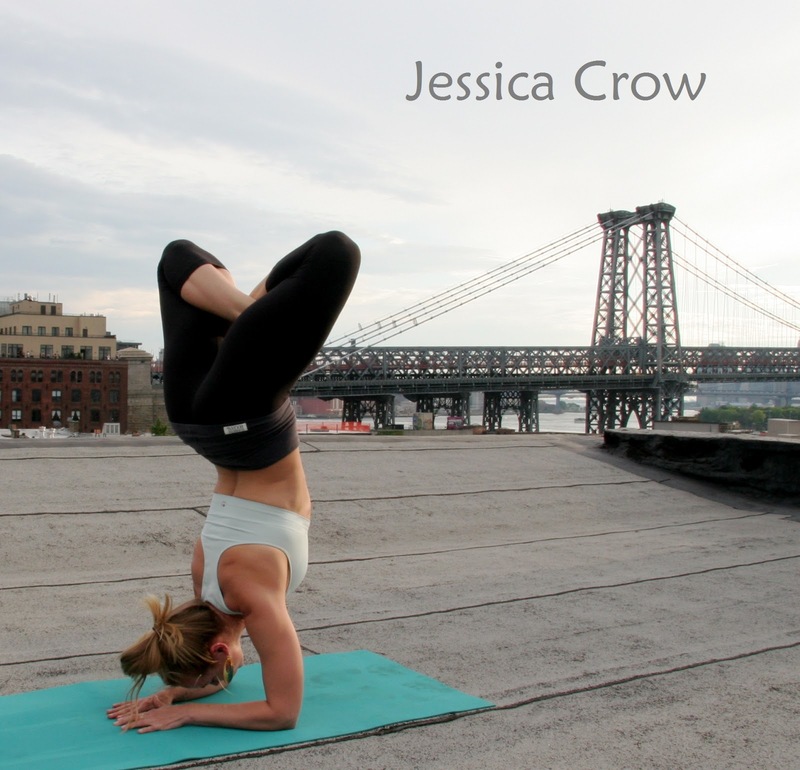 Jessica teaches a Dharma II class at DYNYC every Sunday from 10 to 11:30 AM. 1. Describe yourself in 3 words. 2. What do you do when you don’t teach yoga? JC: I practice it in my own life! I sing, play guitar, study Spanish, dance Sabar, run, read, travel, smile, laugh, love, and dream. I am also starting a non-profit that gives scholarships to disadvantaged youth to attend international volunteer experiences (Moving Youth in New Directions). 3. Favorite Dharma quote/best advice you ever got from Sri Dharma? JC: Honestly, everything that Dharma says and does is equally important to me. 4. Three things that are always in your fridge? 5. Favorite place you’ve traveled? JC: This is a tossup between Barbados and Iceland. Both were extremely pure and clean with stunning landscapes and unbelievably genuine, kind people. Jessica Crow has an innate ability to communicate depth in her classes. She first started practicing yoga herself because she heard it would help her to cope with stress. In conversation, she speaks a great deal about the transformative power of yoga in her own life, and the way it profoundly shifted her overall lifestyle. She hopes to bring these same benefits to her students: “new perspectives, new access to self confidence, new seeds planted that excite and nourish their spiritual beings”. She loves to support people in stepping outside their comfort zones – to help unveil their own potential. She tells us that Sri Dharma is the reason she became a teacher. She loves that he never takes himself too seriously (a quality that flows into her own life and practice), and she greatly appreciates all the Dharma series’ capacity for rapid growth, physically and spiritually. I can’t even explain the insane amount of bliss that results from a Maha Sadhana with Sri Dharma Mittra. I had a little bit of a roller coaster sort of day, but after that workshop, everything is just erased. All I feel right now is devotion and ecstasy. My roomie and I overslept a little bit this morning, but it didn’t really phase me. That’s the main thing I’m noticing about myself lately, is that I just accept situations more readily and adjust myself according to the circumstances rather than fighting things. As Kim said last module, “Some things just aren’t worth getting upset over.” I think that’s going to become my personal mantra for the rest of my life, actually. It probably would have helped me to remember that later in the day when I was getting ruffled about some silly thing. The day started with pranayama and dhyana with Melissa, followed by a Dharma Shakti practice, which was a very basic class consisting of sun salutations, the main poses, relaxation, and some meditation. It was probably the deepest savasana of the training, actually – I think I’m finally beginning to understand the power of the simplest practices. We’ve been talking a lot this module about how we want to strive, as teachers, to be simple, clear, and direct. I think that’s why I love all the Dharma Yoga teachers (the mentors especially) – they all make difficult and/or complex asanas quite straightforward. We had Maha Shakti and Yoga Nidra afterwards with Sri Dharma, which were both awesome as usual. I just laugh so much in his classes… The element of joy is contagious. Then we had lunch, followed by a small group session where we practiced teaching the pranayama and dharana for Dharma III. Then we had our last small group session, and I got to teach. I felt pretty good about it, but I’m still trying to reconcile some of the feedback I got. Sometimes I feel like there’s nothing else I’m meant to do on this earth but teach yoga (and I feel like I’m starting to become a pretty decent teacher), and other times I feel like I’m a little kid and I just have no idea what I’m doing… It doesn’t help that I tend to take “constructive criticism” personally sometimes. Anyway, I’m thankful for the feedback, and it’s all just part of the process. I can’t expect myself to be perfect right off the bat! I certainly don’t expect it of others, so why should I hold myself to that kind of standard? 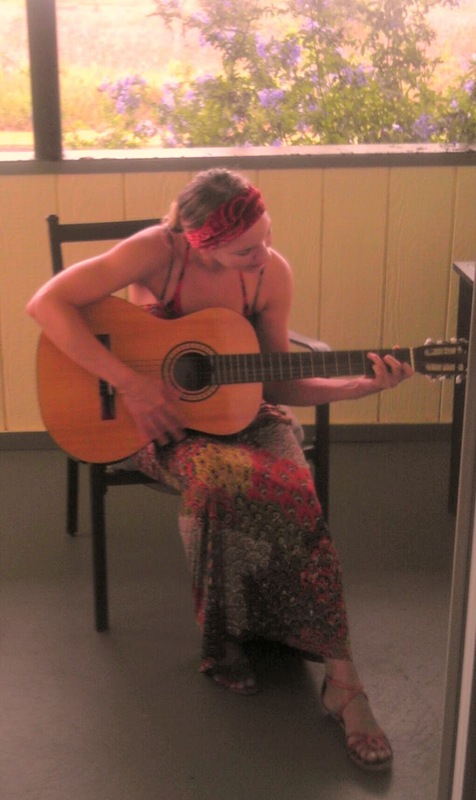 Nothing like a little kirtan to get you energetically charged for the last three days of teacher training. I think the actual kirtan session was a little shorter this module, but it was so vibrant that it totally didn’t matter. I’m buzzing, as I’ve become accustomed to feeling after chanting in such an awesome group of people. Today we started with sun salutations, pranayama, and dhyana with Andrew (who was my mentor last module, and whom I greatly miss this time around). I really appreciated the whole morning – his instructions were so clear, using just enough words and always taking his time. That’s something that I have trouble with in my everyday life: remembering to take my time with things. I realized this morning that starting to just change thatmight help me become more mindful and compassionate, and really live the teachings. 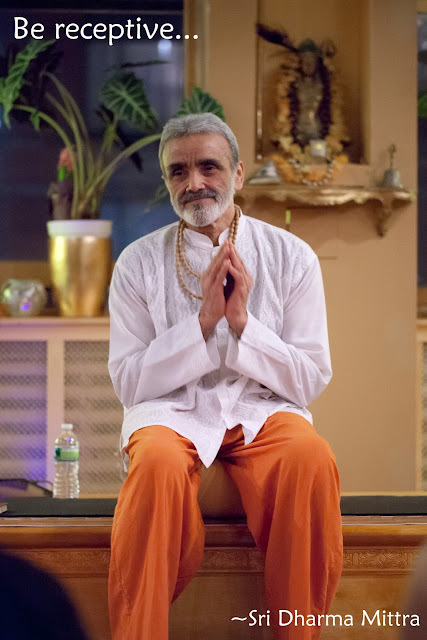 Then we had the review of the Dharma III series with Sri Dharma himself (most of the pictures below are from that – Yoshio and Melissa demonstrated for all of us beautifully). 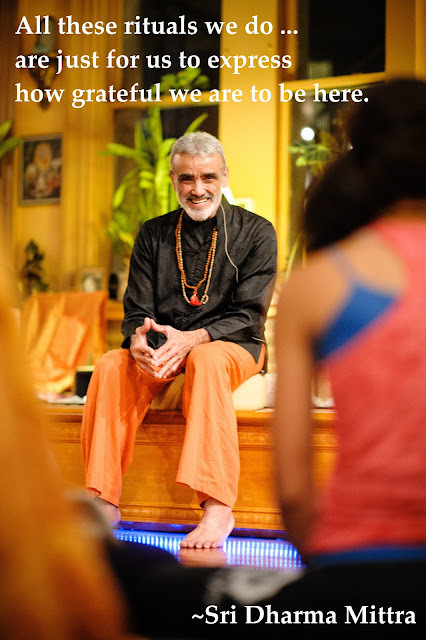 That session ran almost an hour overtime, but I don’t think anybody was upset by this; Sri Dharma showed us so many fun (sometimes crazy) variations for use in our personal practices that I kind of felt like a little kid at Christmas. We had a short session of chanting with Adam (stellar), followed by Master Sadhana – the last one with Sri Dharma for this training. I found it less challenging than yesterday’s practice, but the noon class is never really easy… It almost gets harder as your practice progresses, because to do all the advanced variations that Sri Dharma offers is just completely exhausting (I don’t even do all of them yet and I have a hard time tackling that practice some days). Anyway, it was a beautiful practice, and savasana was glorious. After lunch we finished up with assisting and adjusting, which is sort of a hard session, but not in the way you might expect. It’s difficult because all the trainees are so good at all the asanas, it’s hard for any of them to act like beginners, or do the poses badly on purpose (so that the person “teaching” actually has something to adjust). I guess that’s why we have the internship process where we have to practice teaching – because the actual situation of teaching a room full of people who are unfamiliar with the series is impossible to imitate in these modules. We had another small group teaching session, followed by Maha Shakti with Adam, which were both great. I really love all my small group members, and it’s been super cool to see how they’ve progressed since the last module. Adam’s class was pretty challenging, but by the evenings I just get to the point where I’m too exhausted for it to make a difference whether it’s hard or easy. The best I can do by the night practice is to try and stay present. Although I still adore asana, I feel like I’m finallystarting to connect with the other limbs as well, which is a really awesome step for me! Everything is just sort of coming together, and I’m starting to discover a lot about myself, particularly the nature of my ego and the habits of my mind. But at the same time, I’m starting to be more compassionate towards myself too, instead of berating myself for things that are beyond my control (like my mind wandering away in meditation). It’s a cool thing to witness… And also to begin discovering my Self as the eternal witness. Yoshio & Melissa demo for Sri Dharma.